Have you heard the latest news? Mosmatic is in Canada now! Due to the positive feedback and the great demand Mosmatic Canada Inc. was founded. The new office is located in Montreal, Quebec to serve the needs of the Canadian market. The additional location along with warehousing allows more convenient, quicker and affordable delivery. Mosmatic Canada Inc. has been formed to optimally cater to customer needs in Canada and will have a sizable inventory of our product range in stock. 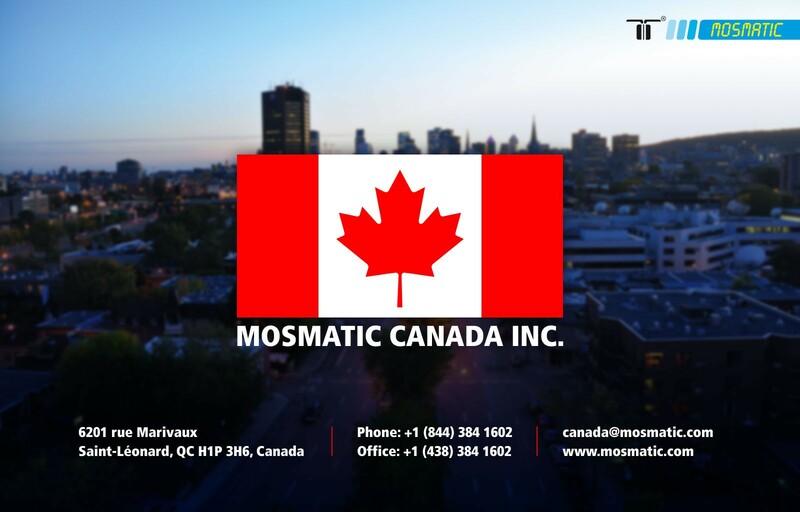 The Mosmatic team is happy to serve the Canadian market more customer-friendly now with the usual upstanding Mosmatic Quality. For more information or product requests please contact us.